Abstract: This episode is the first part of the lost recordings. I talk about the songs and short films ‘Leave Me Alone’, and ‘Jam’. Taking in consideration the production context, symbolism of the visuals and using the recently published thesis of Andreas Ardanic to discuss ‘Leave Me Alone’. To listen to the extended versions of our previous episodes, join us at Patreon.com/mjdlo and become a member.http://patreon.com/mjdlo. Merx, Karin. 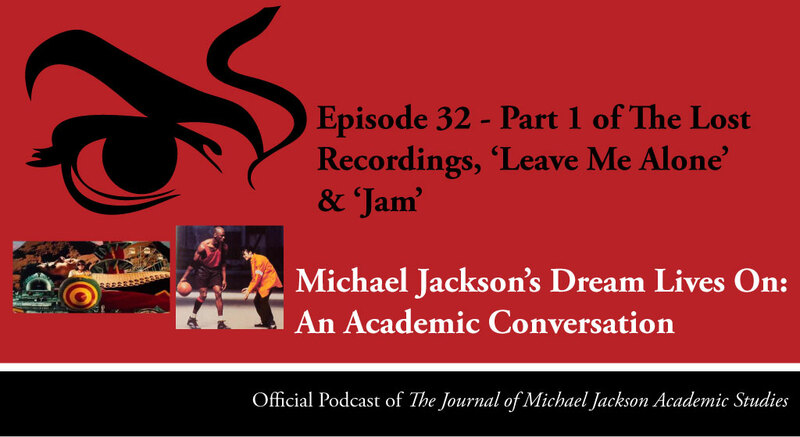 “Episode 32 – Part 1 of The Lost Recordings ‘Leave Me alone’ & ‘Jam’, ” Michael Jackson’s Dream Lives On: An Academic Conversation 5, no. 1 (2017). Published electronically 22/10/17. http://michaeljacksonstudies.org/episode-32/. Elizabeth Amisu, PGCE, MA, is co-founder and the former editor of The Journal of Michael Jackson Academic Studies and author of The Dangerous Philosophies of Michael Jackson: His Music, His Persona, and His Artistic Afterlife. Find out more about Elizabeth here. 1. Elizabeth Amisu, Michael Jackson & Black History Online Video Course, Michael Jackson & Black History Press Release | Course Page. 2. Elizabeth Amisu, Michael Jackson & Black History Teaching Pack, Michael Jackson & Black History Teaching Pack Press Release | Course Bundle Page. 3. Joseph Vogel, Man In The Music: The Creative Life and Work of Michael Jackson (Sterling, 2011). 5. 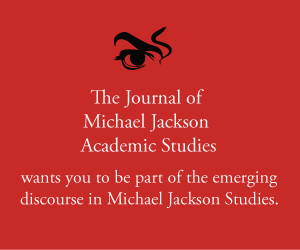 Andreas Ardanic, ”Leave Me Alone, I Need My Privacy: An Analyses of Michael Jackson’s ‘media-critical’ songs’, The Journal of Michael Jackson Academic Studies 5 – 1 (October 2017) http://michaeljacksonstudies.org/privacy/. 6. Daniel Levitin, The Organized Mind (Penguin, 2014). 7. Michael Jackson, Leave Me Alone (1989). 8. Michael Jackson, Jam (1992).